Only a couple more sleeps until Friday the 29th of March 2019, when Big Dog Dumfries Children’s Book Festival’s exciting programme of events unfolds in Dumfries for children of all ages. They may take their grown-ups along too to join in the fun. It all begins on Friday evening with a box full of delights spreading right over until Sunday. Some of the best-known and loved children’s writers and illustrators will be making their way to Dumfries to read their stories, show their pictures and meet their young readers face to face. They are all looking forward to that – they love getting to know the children (and grown-ups) who enjoy their stories and their colourful illustrations. The very smallest festival-goers have plenty to keep them happy, including ‘Princess Poppy’ with Janey Louise Jones, and, very topically, ‘My Name Is Not Refugee’ by Kate Milner, who will tell the story of a little boy and his mum who have to undertake a long and difficult journey to safety. The artist and writer Shoo Rayner will introduce ‘Walker, The Boy Who Can Talk to Dogs’ and will also hold a family session showing how to draw dogs of all sorts. Their bigger brothers and sisters will find plenty to laugh at with Stuart Reid and his stories about ‘Gorgeous George’, or travel back through the ages with Julia Jarman and ‘The Time Travelling Cat’. There are so many good things on offer it will be hard to choose. 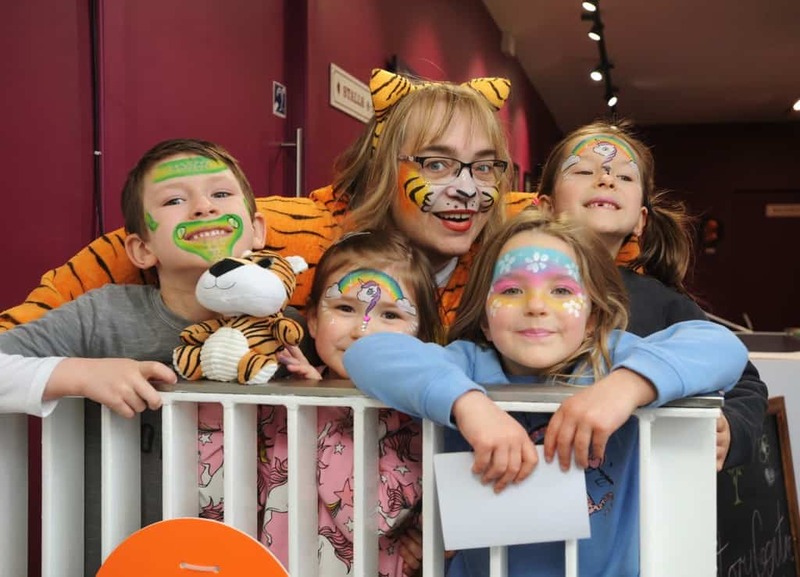 Events for the whole family, walking, running, dropping into the Story Centre, crafts, games, silly singing and learning Scots – all these are part of the rich mix that makes up the Big Dog Dumfries Children’s Book Festival. There really is something for everyone, and it all culminates in Big Dog’s invitation to Nana’s Neverland Paw-ty at Moat Brae on Sunday afternoon. Big Dog is brought to Dumfries by the Wigtown Festival Company, and funded by Baillie Gifford and SSE, whose commitment to this event is warmly appreciated by WFC.